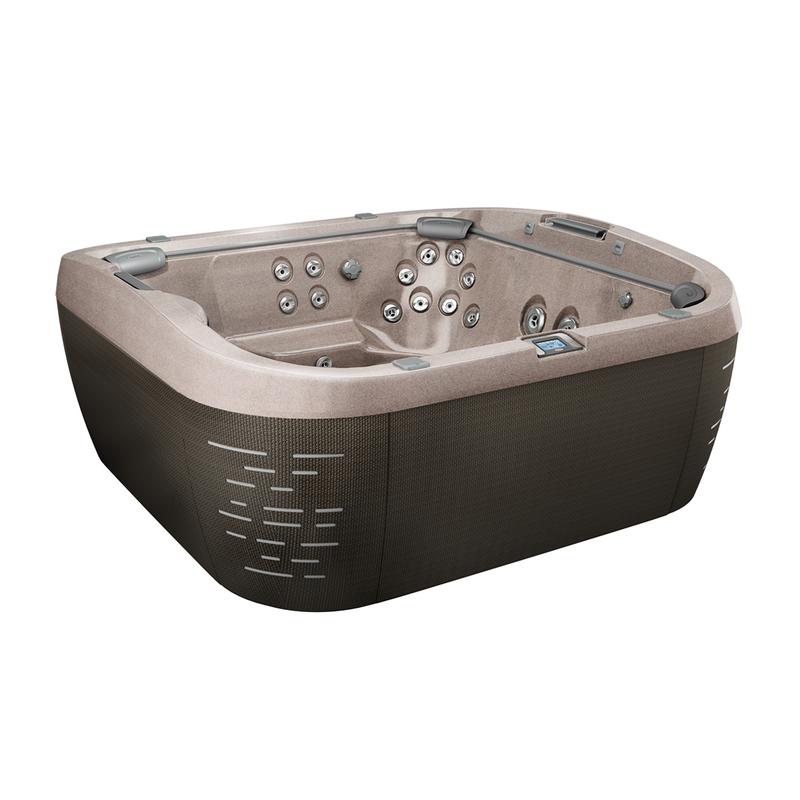 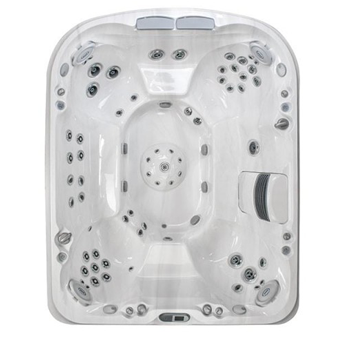 Showcasing a stunning design and superior hydromassage, the J-585IP™ Hot Tub is the next generation of backyard luxury. 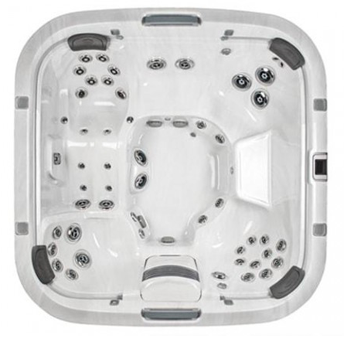 Offering room for 6-7 adults, this model introduces a new PowerPro® Jet for the hips, and new PX Jet placement at the wrist. 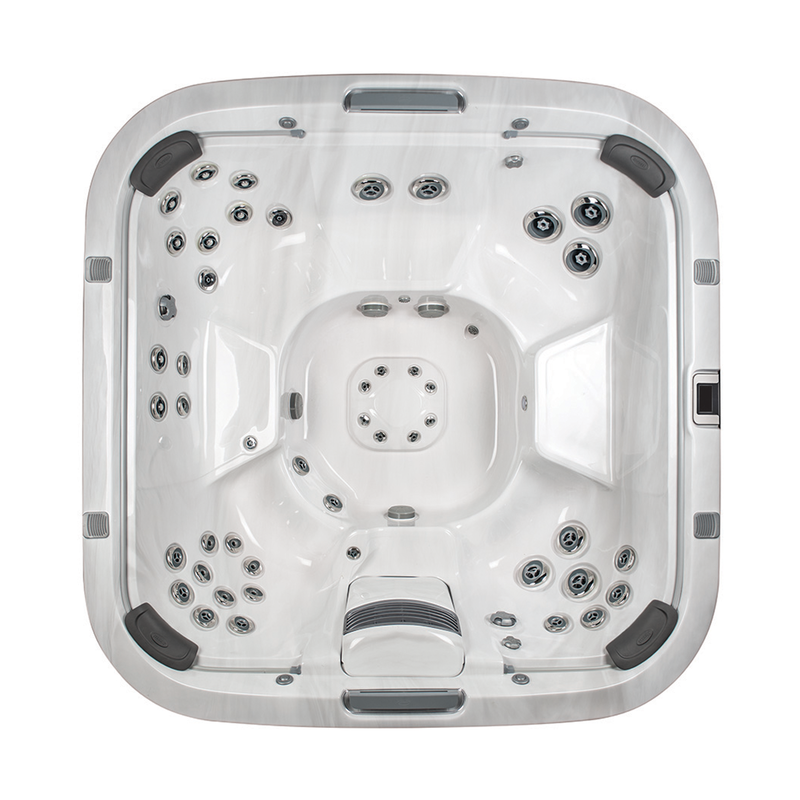 Seating 6-7 adults, the J-585IP™ features a new PowerPro® FX Directional Jet designed to relieve tension and improve circulation in the hips, while a new PX Jet placement delivers a focused massage to key pressure points in the wrist. 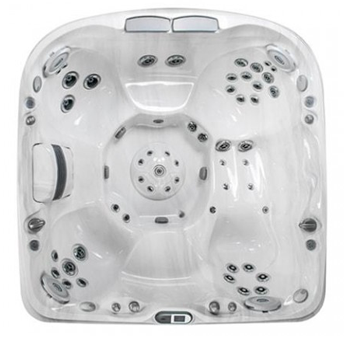 Outside features include a designer woven exterior and architectural corner lighting, while inside boasts dual ProEdge™ Waterfalls and interior illumination.